Are Green Roofs Really Good For You? Solar panels in the Philippines can be now seen on the roofs of various establishments, farms, and even households. Another popular trend are green roofs, wherein grass and plants are grown on the rooftops. Green roofs typically consist of a waterproofing membrane, growing soil, and plants. These have become a trend among architects and urban planners due to the various benefits it brings to both private and public sectors. Just how good are they for the environment and for the people in and out of the establishment? Let’s consider the benefits they bring. A green roof system can serve as a sound barrier against the exterior noises. It provides good sound insulation, minimizing the outside noise coming in and the inside noise getting out. This is especially useful if the house or building is located in an urban area. 0041 green roof can reduce eight decibels of outside noise compared to the traditional roof. Since green roofs provide great insulation, it can reduce the needed amount of energy to cool down the living space. It can help in the reduction of energy consumption significantly during summer, when we tend to turn up the a/c just to stay cool. However, the outcome may vary depending on the climate condition, thickness of the insulation, and type of the building or construction. The plants on green roofs clean the air by capturing the airborne pollutants and atmospheric deposition. A green rooftop can also filter the noxious gases, which are harmful to all living things. It also helps in reducing the hazardous waste in the air we breathe in. The efficiency of solar panels will increase since green roofs can help them in absorbing the heat easily, thus, making them more effective. Carbon Dioxide is one of the major causes of global warming. By creating a green roof, you reduce the amount of carbon dioxide in the air. Moreover, every year, 1m2 of a green roof can absorb for about five kilograms of carbon dioxide. Urban agriculture is known to contribute in community building, food security, and economic development. Creating a green roof can create more opportunities for urban agriculture. Utilizing your roof as a farm or garden can be a solution in reducing your community’s carbon footprint when creating a local food system. Are green roofs really good for you? Definitely yes! 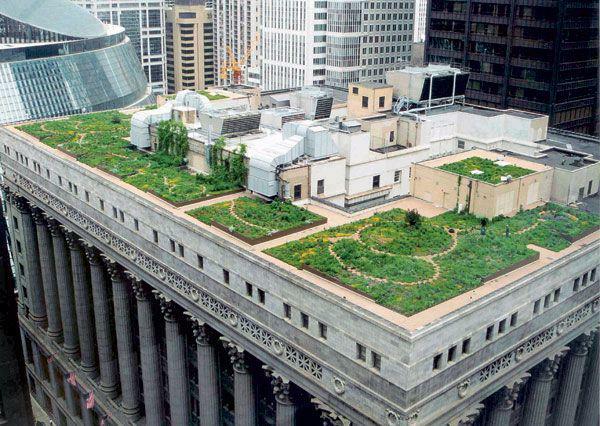 Planting your rooftops definitely brings many benefits to private, public, social, and economic sectors. Join the green movement, turn your house into a green home, and consider a green roof!